Pacific Coast Homes can help whether you are Buying in Longview Hills or Selling. Our office will work with you through all processes of buying or selling your Longview Hills home. Pacific Coast Homes, is not affiliated with Longview Hills, LLC. However, everyone at Pacific Coast Homes is a resident and homeowner in Longview Hills. My specialty is representing the best interests of Seniors, moving to the Newport area, throughout the home buying process. My comprehensive, high-quality services can save you time and money, as well as make the experience more enjoyable and less stressful. 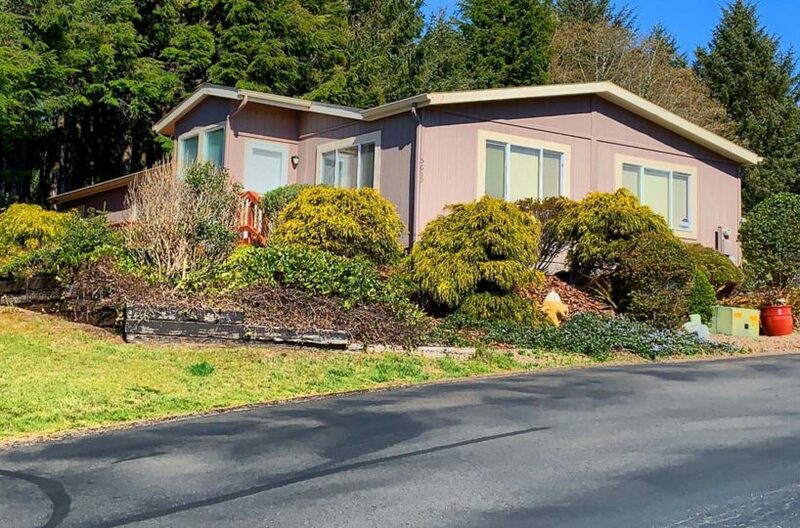 These Homes are in the Prime 55+ LONGVIEW HILLS PARK, a Beautiful location on the Central OREGON Coast. They are under ten minutes to Pristine Agate Beach, Agate Beach Golf Course, Hospital, Library, Performing Art Center, Movie Theater, Historic Bayfront, Historic Nye Beach, Shopping and Restaurants, just to name a few. As an experienced professional who has helped many Newport residents sell their homes, I know how to handle every aspect of the sales process – from strategically marketing and showcasing your home to making sure everything’s signed, sealed and delivered by the closing date. If financing is necessary, please visit our Finance page for lenders who specialize in manufactured homes. We work with Western Title & Escrow locally in Newport to facilitate a smooth process of buying or selling your home.